Rear view of businessman standing on wooden floor and arrow signs sketched (chalk drawing) on the wall. 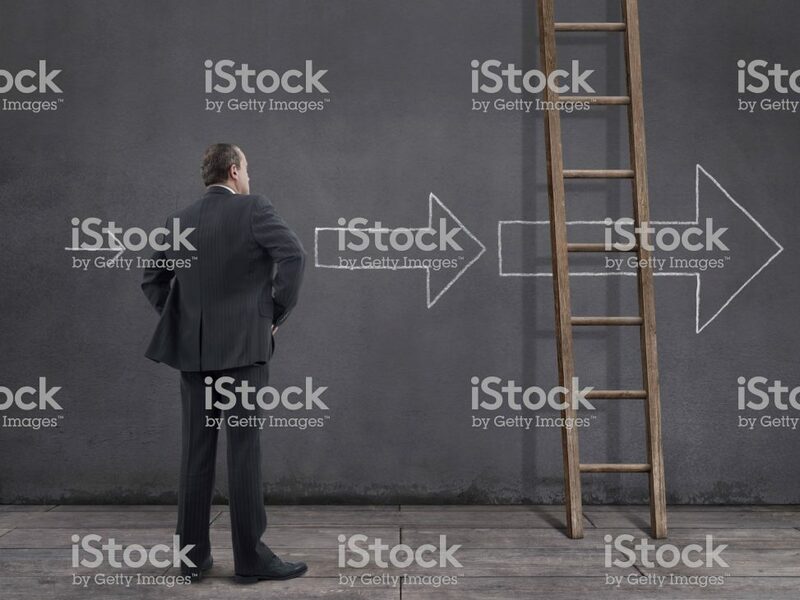 Wooden ladder of success leans against a wall. He is looking further, thinking, searching new ideas and way to exit.